We had doubt, which we wrote earlier whether the leaked version is really Microsoft Windows 8 or a fake compilation. But after many posts from Microsoft Most valuable professionals in their weblogs; namely Ankur Mittal and Vishal Gupta; we are quite sure this is real Windows 8. So, by this time, we can sort some features that was expected previously in Windows 8 and what we are possibly getting. 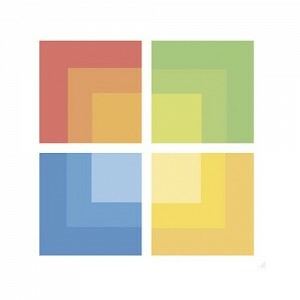 Windows 8 will have a fantastic and mind blowing look. Windows 8 will have enhanced Aero. Very fast boot up speed. New file format replacing NTFS. Old wine in new bottle: Windows 8 looks like Windows 7 with basic theme on. Aero lite; closer to Basic theme of Windows 7. Windows Store evidence found in Windows 8. The default theme looks horrible. It is said this is Aero Lite interface. To make faster, Microsoft chopped out some excellent eye candy features of Windows Vista like DreamScene (we wrote tutorial on how to get back Dreamscene in Windows 7), control of transparency of individual explorer window (Third party tool available) etc. It is easy to be underwhelmed by the proposed features, especially since most of them are already available from competitors or by using third-party freewares and Windows 8 would not be available until next year. But considering some of them as a whole: instant-on, facial recognition, 3D support and Kinect like gesture support, even without a mad new interface, these could add-up to a radically different experience. It could be the start of something genuinely new, and that is worth paying attention to. This Article Has Been Shared 6840 Times! Natural User Interfaces : is a new idea that is revealed by Microsoft Research. Read the TheCustomizeWindows exclusive article with photos and videos. Cite this article as: Abhishek Ghosh, "What was expected from Windows 8 and what is in build 7994," in The Customize Windows, May 3, 2011, April 20, 2019, https://thecustomizewindows.com/2011/05/what-was-expected-from-windows-8-and-what-is-in-build-7994/.